the Hot Taters can spice up your event! Thanks for visiting our site. 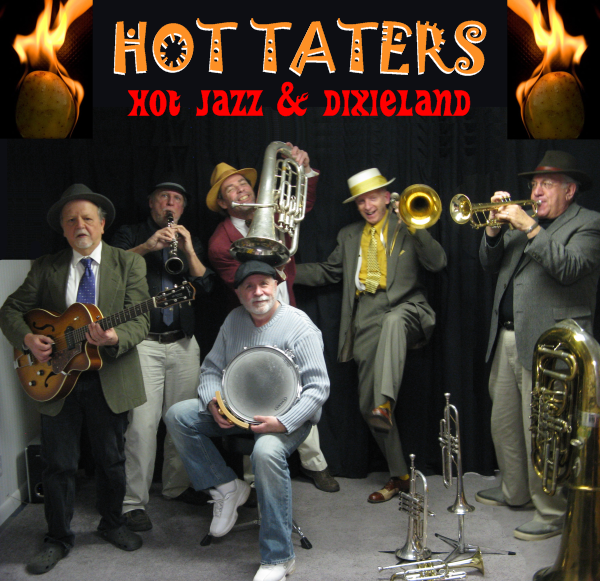 We're the Hot Taters, bringing you the best in Hot Jazz, Dixieland, and swing from the 20's, 30's and 40's and the funky sounds of New Orleans Mardi Gras music. We're a versatile band from hard driving Dixieland to classic ballads to the sounds of a New Orleans brass band to happy sing-a-longs, all keeping you entertained. Link to Jive Jump & Wail!